We’re very excited dear readers as we now have a YouTube channel. What does that mean? Moving bulges of course! 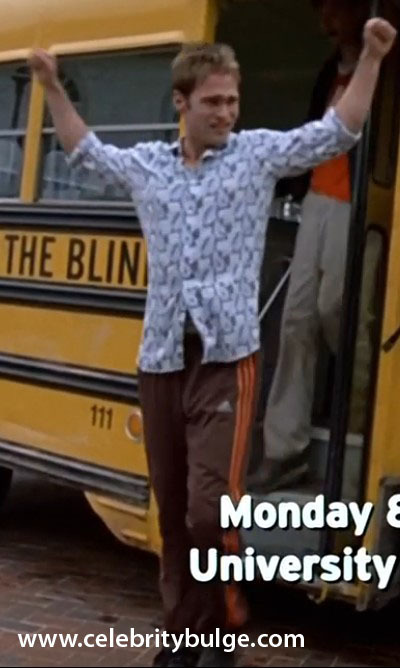 And we kick off with the gorgeous Seann William Scott’s bulge from Road Trip. 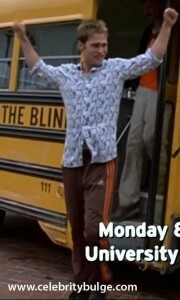 Watch him as he gets off a bus, with his mouthwatering bulge there for all to see. Be sure to full screen it, and ramp it up to HD. We include a bulge image too after the jump, just in case you’re lazy. Matt Lanter’s bulge keeps on giving | Celebrity Bulge Blog on So, Matt Lanter is a loser?